AVPN invites you to the first session in the series which will bring together a broad ecosystem ranging from inclusive business owners to investors, philanthropists and government representatives. 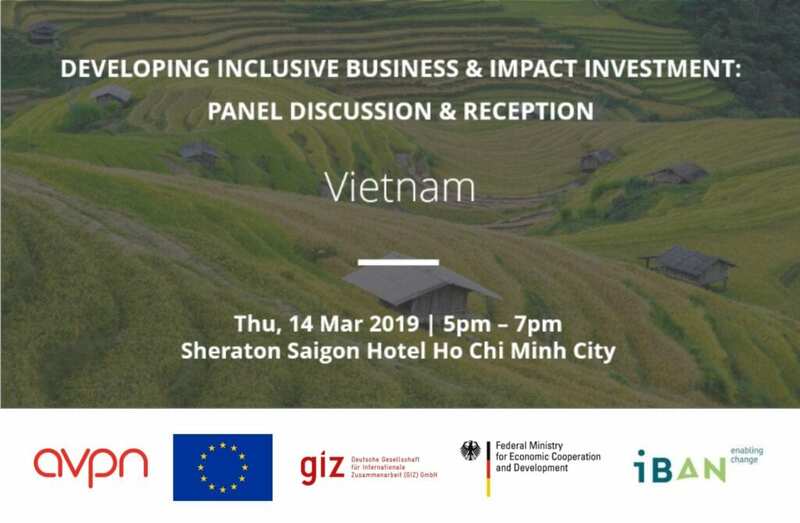 The evening will begin with a panel discussion to bring clarity to the value of inclusive business and opportunities for growth in Vietnam. The gathering will conclude with a networking reception, encouraging participants to connect and learn from one another as well as interact with both international and local experts. Joining the Ministry of Planning and Investment’s newly-established Agency for Enterprise Development in 2002, Cuong served different assignments involving with SME policy making and international cooperation for SME development in Viet Nam. He has participated in formulating, appraising, managing and coordinating ODA programs in SME development since 2003. He was the Director of Project Management Unit, World Bank – funded Vietnam Inclusive Innovation Project (2014-2017), for science and technology development, research bodies and innovation organizations and for business community to work for the low income community. Cuong has been involved intensively and extensively in drafting SME Support Law and implementing Decrees, Prime Minister’s Instruction and in coordinating with Ministries and provinces for the Law’s implementation. Allie previously worked in consumer brand management for Mondelez International (Nabisco Portfolio) and has been a brand strategy consultant for numerous social enterprises. Patamar Capital is a venture capital firm that targets risk commensurate returns for its investors while also seeking to unlock better economic opportunities for Asia’s low income communities. It supports visionary entrepreneurs who are building high-growth companies that help to solve South and Southeast Asia’s most pervasive problems at scale. Shuyin is responsible for Patamar’s investing activities in the Mekong region and the Philippines. 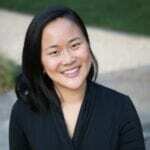 She has experience spanning strategy consulting, development consulting and impact investing. Huong Dinh joined Coca-Cola Vietnam in 2008 as Customer & Consumer Information Manager. Huong also initiated the Vietnamese version of EKOCENTER project – the global sustainability initiative of Coca-Cola that aims to provide socio-economic benefits while also encouraging entrepreneurship and sustainable growth. Huong also led a wide range of integrated capability development programs, including business startup, health care, computer skill, physical studies for underprivileged local women at EKOCENTERs. Since 2015, over 3000 women have directly benefited from these programs. Ms. Pham Thi Ngoc Hien is owner of Anfood, an impact business with a mission to improve the livelihood and incomes of farmers in Ben Tre province. Hien is an engineer in Natural Resource Management and used to work for the Seafood Association of Ben Tre, a local NGO supporting farmers and the fishing industry. Upon leaving the organisation, Hien and her partner co-founded Anfood to continue her passion to promote the adoption of an inclusive business model. Anfood cultivates and raises seafood products in a natural way and provides ecotourism services, providing sustainable incomes and ensures mangrove reservation in the locality.